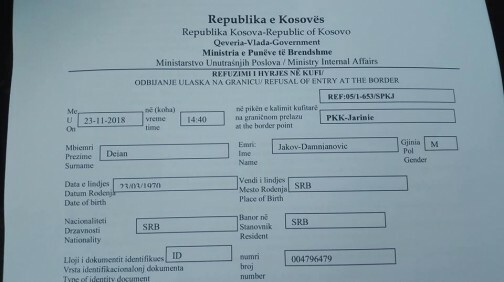 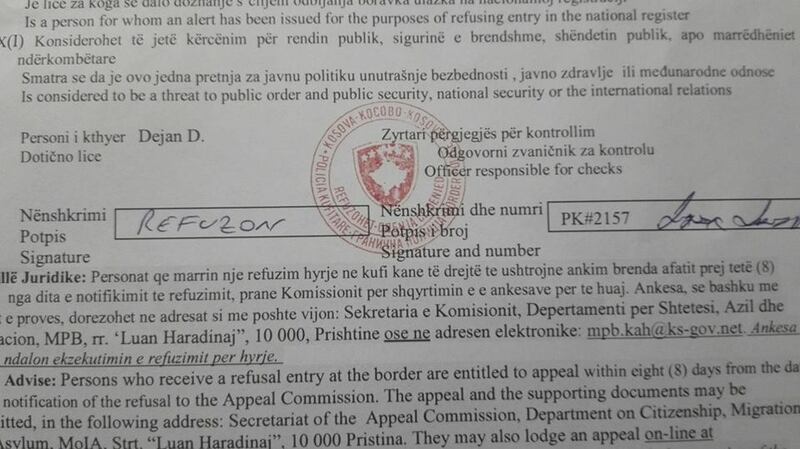 Dejan Damnjanovic, chief of cabinet of HRH Prince Vladimir Karadjordjević and commander of the Sovereign Military Order of the Dragon was not allowed yesterday to enter Kosovo and Metohija and the official document of prohibition of the entry to Kosovo was handed to him. 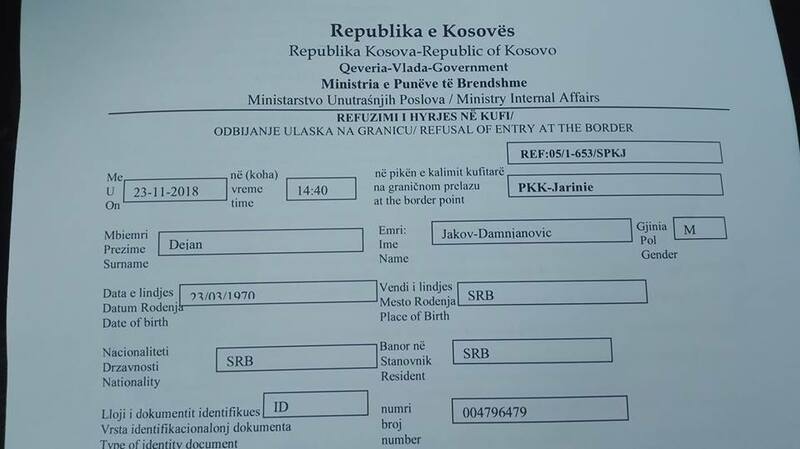 The only reason for this is the humanitarian activity of Mr Damnjanović on behalf of the cabinet and the order and the aid to Serbian population in Kosovo and Metohija. 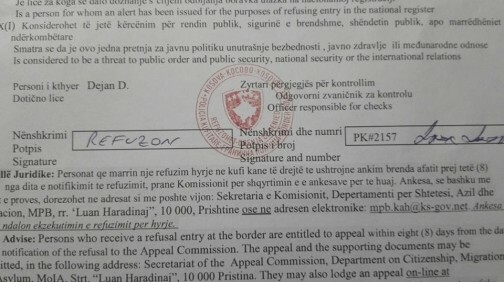 We strongly insist that all relevant international institutions put pressure on the government of Kosovo to pull back this decision which represents a threat to the basic human right of freedom of movement..